Casa de Little Tree is the former Little Tree Bed and Breakfast, so popular and loved by so many returning guests over the last 20 years. 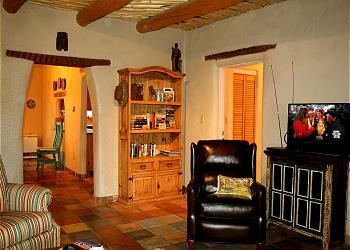 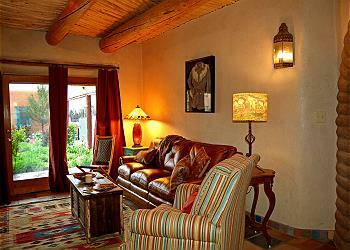 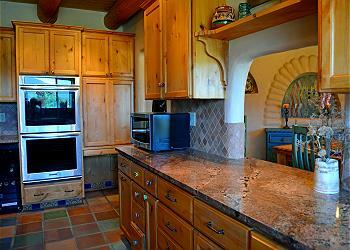 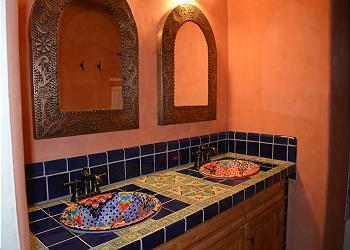 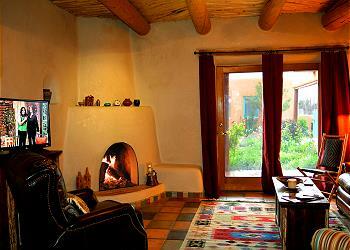 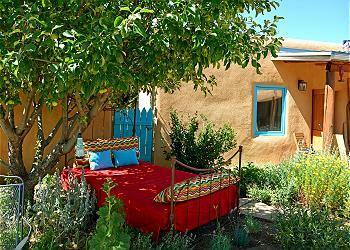 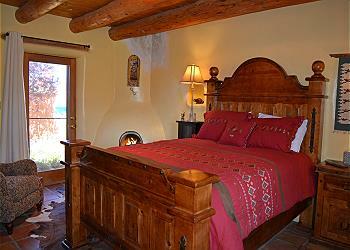 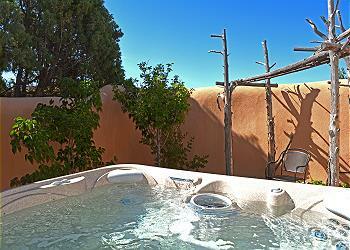 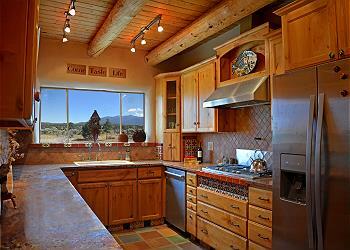 The proud new owners stayed here many times as they would visit and dream about "having a place in Taos someday". 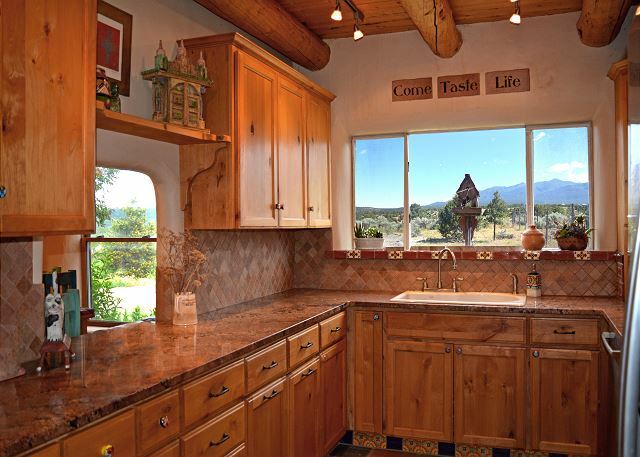 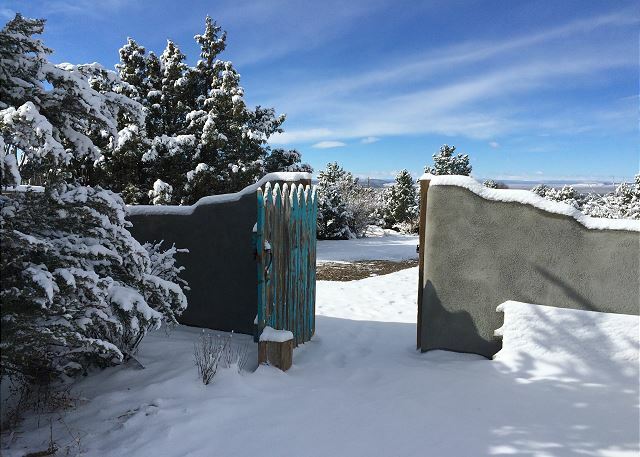 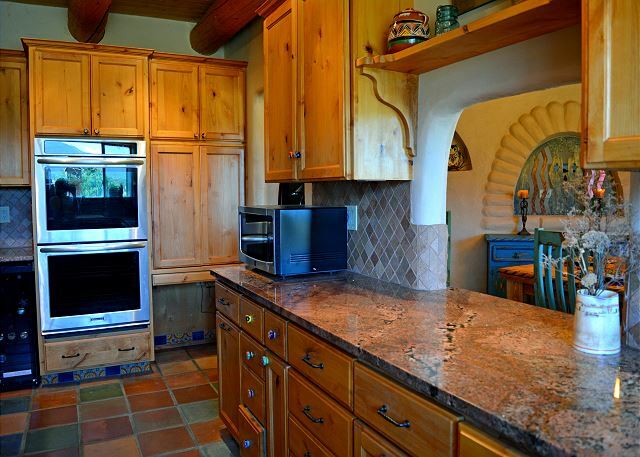 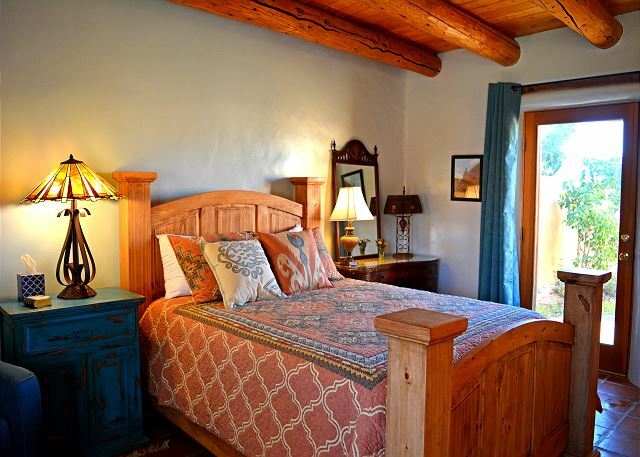 Their dream has happened and they have been devotedly dedicated to creating an exceptional Taos vacation rental for all who come to enjoy. 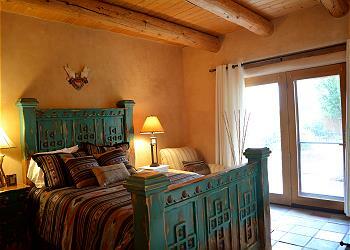 There are 5 large bedrooms total in the compound. 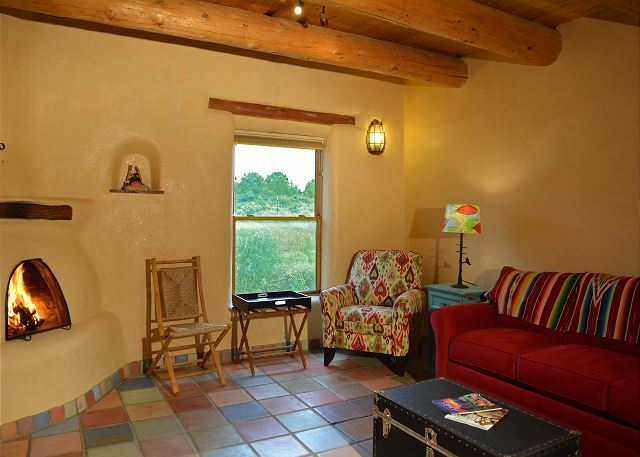 The adobe main house has 3 inviting bedrooms and 3 1/2 baths, a den with a sleeper sofa and a banco for a quiet escape to read, meditate or nap. The Casita, separated by a landscaped courtyard has 2 bedrooms, 2 baths and 2 secluded walled courtyards and one that includes a hot tub for all to share. Every bedroom has its own distinct and inviting personality. The Main house interior walls are hand plastered with mica, straw, and earthen pigments from the area and are accented with a variety of colorful imported tile. This highly touted craft adds a most subtle ambiance to each and every room. 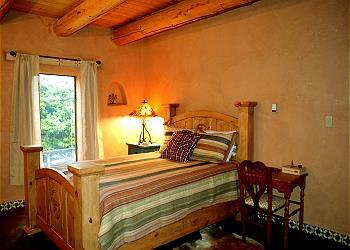 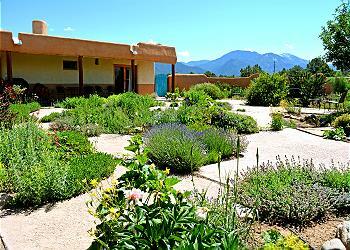 In addition, two of the bedrooms have rammed earth floors, an almost lost art in current times. 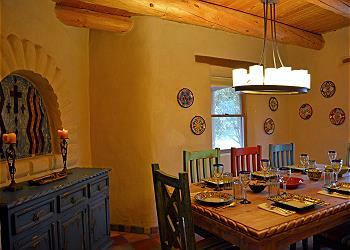 Enjoy alfresco dining under the spacious portico. 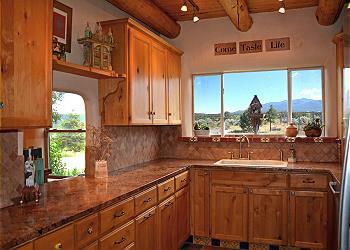 Perfect for grilling, fellowship and celebrations such as a wedding or a family reunion. Out on the Hondo Mesa, peace, quiet and a gentle breeze are the norm and a quick run up to Arroyo Seco makes for an enjoyable afternoon. Opportunities for fly fishing, skiing, hiking, rafting, biking, horseback riding and ballooning are close at hand. Stay at Casa de Little Tree and experience Taos as full and rich as living in Taos can get..
Room Description: 5 Queen beds, one in each bedroom + Den queen sleeper sofa, twin folding cot & twin banco for small child = 14 Max-- 3 tub shower combos, 1 walk-in shower, 1 jetted tub with pull out handle for shower, and 1 powder room for guest.